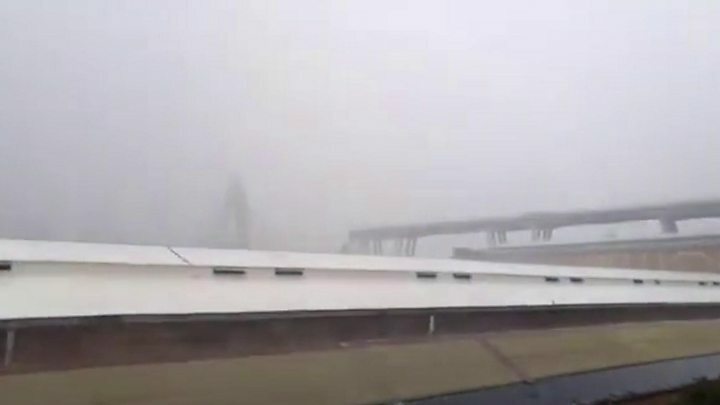 Fears that other parts of the bridge might fall have prompted the evacuation of buildings in the area, a rescuer told Italy’s Ansa news agency. A representative of the motorway’s operator, Autostrade, told Reuters news agency there had been “no reason to consider the bridge was dangerous”. Shares in Atlantia, Autostrade’s parent company which runs much of the country’s motorways, fell 6.3% after news of the collapse. Prime Minister Giuseppe Conte is due to visit the scene to support the search-and-rescue effort and show solidarity with the victims and their families, his office said. Engineers say it is too early to determine the cause of the collapse but that lightning is unlikely to be the reason. The official death toll was given as 22 on Tuesday evening by the governor of Liguria region, Giovanni Toti, but he warned the number would “certainly rise significantly”. Fire brigade sources old Ansa that 35 people were dead and 12 missing, with 440 displaced. A child is among the dead, said the head of the civil defence agency, Angelo Borrelli. Between 30 and 35 cars and three heavy vehicles were on the bridge at the time of the collapse, he said. The full horror of the collapse could be seen in aerial video of the scene. Patrick Villardry, a French firefighter who came from Nice to help the rescue effort, told AFP news agency the task was huge. “The first victims have been evacuated and now we have to search under the wreckage of buildings, but there are thousands of tonnes of concrete,” he said. How important is the bridge? The Morandi Bridge, built in the 1960s, stands on the A10 toll motorway, which serves the Italian Riviera and southern coast of France. The missing section was dozens of metres in length, and ran across the span of the Polcevera river. The collapse of the bridge was an “incident of vast proportions on a vital arterial road, not just for Genoa, but for the whole country”, said the governor of the Liguria region, Giovanni Toti. “What we are carrying out at the moment is a search and rescue operation for the victims and the injured, to get the victims out and recover the injured,” he said. Were there any concerns about the bridge? “It’s not acceptable that such an important bridge… was not built to avoid this kind of collapse,” Mr Rixi was quoted as saying by Reuters. However, Stefano Marigliani, the Autostrade official responsible for the Genoa area, told the agency that the bridge had been “constantly monitored and supervised well beyond what the law required”. The highway operator said work to shore up its foundation was being carried out at the time of the collapse. Restructuring work on the bridge was carried out in 2016, Reuters reports. Italy’s recently installed government has pledged to increase public investment in infrastructure. The country spent more than €14bn (£12.5bn; $16bn) on its roads in 2006 but that had dropped to less than €4bn by 2010, according to data from the Organisation for Economic Co-operation and Development. Did you witness the collapse of the bridge? Are you in the area? If safe to do so, please email haveyoursay@bbc.co.uk.